Cast Urethane Parts – Custom Cast Urethane Parts! Cast Urethane Parts ? You’ve come to the right source! Polyurethane Classifier Shoes: Polyurethane Classifier Shoes are found in bulk aggregate handling systems in extreme abrasion conditions. Bulk handling systems are typically constructed with a corkscrew roller that will process material forward or backward depending on the rotation of the polyurethane classifier shoes. Plan Tech’s specialty line of polyurethane classifier shoes is just one of the many cast urethane parts that we manufacture! Urethane Compression Springs: Urethane compression springs will sit inside a machine and compress when the machine is operated to stamp or eject the desired shape. When the machine retracts the urethane compression springs will “spring” back to its original size reducing the risk of the operator being hurt. Urethane compression springs have been proven to be one of the safest, most efficient and reliable compression material for punching, stamping, and drawing dies. Urethane Cam Followers: Also, our specialists are capable of adding to the batch, any desired color pigment. True most urethane cam followers are designed or cast to the size suitable for low-speed applications. However, we possess the technical ability to machine most cam followers in a way that guarantees consistency in the event of high-speed applications. We have a variety of additives which we can add to our cast urethane parts to enhance their physical properties albeit upon your request. Polyurethane Balls: Polyurethane balls are found in many applications requiring repeated abuse and impact. Polyurethane balls will dampen the harsh slamming of a machine and perform better than OEM replacements at a fraction of the cost. Plan Tech is one of the leading cast urethane parts suppliers of polyurethane balls all Made In USA. Our custom polyurethane balls range in size from .75”- 10” and are typically molded from solid urethane with a through hole that will be fastened to the application. Urethane Cone Liners: Urethane cone liners have a remarkable high-performance ability, and the ones manufactured by us are custom made to solve all tear and wear issues that are related to the bulk transportation of several types of materials. Renowned for its exceptional capability to resist abrasion and other tough conditions. 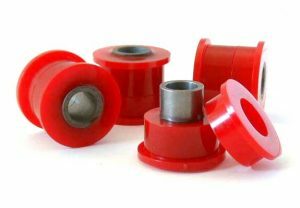 Urethane Wheel Chocks: Urethane wheel chocks are critical safety equipment in mining, industrial and aviation environments because they ensure that lives are protected with their proper and sustained usage. While it is true that the market offers various types wheel chocks including those made of aluminum, rubber, wood and urethane. 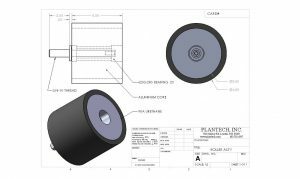 Plan Tech’s specialty line of wheel chocks is just one of the many cast urethane parts that we manufacture! Urethane Classifier Shoes: Urethane Classifier Shoes are found in bulk aggregate handling systems in extreme abrasion conditions. Bulk handling systems are typically constructed with a corkscrew roller that will process material forward or backward depending on the rotation of the custom cast urethane classifier shoes. Some equipment will have multiple corkscrews to move a larger amount of material. Urethane Skid Shoes: Overall, the quality of our urethane skid shoes is world class regardless of the fact we manufacture a high volume of the product within a short turn around because we utilize speed and precision to maintain consistency in quality. It, therefore, isn’t a surprise that our customers who have purchased the product have attested to their impressive ability to resist wear. Plan Tech’s specialty line of skid shoes is just one of the many cast urethane parts that we manufacture! Urethane Die Cutting Caps: As always with all of our products, we utilize speed and precision to make sure our urethane die cutting caps are of world-class quality. 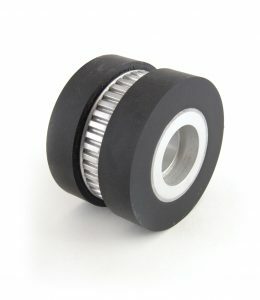 Our team of engineers who rank among the best in the industry and are capable of designing and having your urethane die cutting caps manufactured in different configurations that meet your requirements. Urethane Chute Liners: Urethane chute liners are offered custom manufactured to help solve wear related issues. Plan Tech’s urethane chutes liners are the perfect solution for offering protection against chutes from abrasive compounds and metal hoppers as well as our full line of custom cast urethane parts! Urethane Feed Screw Covers: The addition of a polyurethane coating gives our feed screw covers the impressive ability to minimize damage during application and makes it easy for our team of engineers to machine our screw covers into any required profile. Plan Tech’s specialty line of urethane feed screw covers is just one of the many cast urethane parts that we manufacture! Urethane Control Handles: Our ability to reverse engineer existing urethane control handles and make from them, a finished product that looks superior with better performance ability than OEM originals is unbeatable. This helps in saving significant cost that would have spent on the purchase of a new oem product. We utilize only the best in polyurethane for the manufacture of our urethane control handles to ensure consistency in quality production as well as our full line of cast urethane parts! 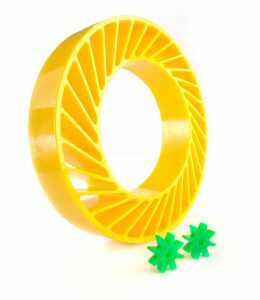 Polyurethane Feed Rings: Although, polyurethane feed rings are traditionally circular we are, however, capable of customizing the shape of our feed rings to meet the requirements of different applications. You can also rely on us to custom make your polyurethane feed rings in any hardness needed for your feed rings and the entire process of production from the design to the manufacture is controlled by our highly skilled engineers. Urethane Hole Forming Pins: Our urethane hole forming pins offer enhanced wear properties, long service life, high abrasion and chemical resistance and a remarkable stability in environments with harsh conditions. We boast one of the most fully equipped in-house machine shops in the sector just as our engineering team is renowned for their world-class capabilities. No matter the profile you need or what your requirements for urethane hole forming pins are, you can depend on us to meet your demands or specification. Urethane Inverted Hole Forms: Our ability to produce high-volume urethane inverted hole forms at a fast turnaround is second to none in the industry, and our urethane inverted hole forms are renowned for their enhanced physical properties. No other company in the sector produces cast urethane parts such as polyurethane inverted hole forms that offer better abrasion and chemical resistance as well as long service life and impressive ability to resist wear than us. Urethane Knock Out Blocks: Urethane knock out blocks are one of the numerous custom urethane products we specialize in manufacturing. Our over 30 years’ experience of producing urethane parts or products coupled with our state of the art facility ensures we only manufacture urethane knock out blocks that are of first-rate quality as well as our full line of cast urethane parts! Urethane Riser Rings: No other urethane riser rings produced by other companies can offer better abrasion, wear and chemical resistance than our riser rings and their ability to maintain their high-performance ability even after being used for several years are second to none. Our exceptionally gifted engineers can turn your mere ideas or sketch into premium quality cast urethane parts such as urethane riser rings, and we are more than capable of meeting your high-volume demand for specific applications in record timing because manufacturing custom-made urethane riser rings that meets your specifications is one of our specialties. Urethane Channel Forms: Our dedication to producing premium quality urethane products is sufficiently evident in our urethane channel forms which possess remarkable ability to resist wear, abrasion, chemical as well as corrosion. Also, the high level of efficiency of our urethane channel forms can be depended upon even in harsh environments or after several years of usage. Urethane Mallet Heads: The urethane mallet heads produced in our cast urethane parts polyurethane manufacturing facility and machined at our in-house machine shop that is well equipped with state of the art facilities are specially made to deliver forceful blows that allow for easy driving in of chisels and carving tools using short strokes. Our world-class team of engineers are well adept in manufacturing mallet heads of any profile that is capable of meeting the requirements of any application. Urethane Diaphragms: So, if what you need are urethane diaphragms that offer high-performance ability and long service life, then our diaphragms are the solution you seek. And our team of highly dedicated engineers are always ready to transform your cast urethane parts idea or sketch into world-class products. Urethane Hopper Liners: No other urethane hopper liners produced by any other brand offer better protection against abrasion and chemicals than ours. And our application of speed and precision allow us to consistently manufacture only the best in quality cast urethane parts such as urethane hopper liners. With an outstanding capability to withstand harsh environments and their ability to maintain their high-performance service after years of been regularly used. Urethane Cutting Surfaces: We are capable of handling your urethane cutting surfaces from design to finished product in a very fast turnaround. Therefore, bring your idea, sketch, drawing or CAD to us, and we would manufacture a top-grade product that will meet your requirements and exceed your expectations. Urethane Pump Impellers: Urethane pump impellers are one of our numerous specialty cast urethane products, and we have them available in different colors, durometer and sizes. For over 30 years we have manufactured urethane pump impellers using speed and consistency to maintain consistency in quality and to ensure we produce in high volume at a fast turnaround. We only utilize world-class urethane materials from globally renowned chemical producers to manufacture our cast urethane parts. Urethane Tires: Urethane tires are one of our numerous signature polyurethane parts that we manufacture. 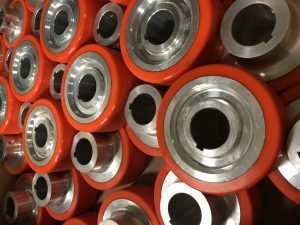 Like all of other urethane parts or products, our utilization of high-quality materials from globally renowned producers in manufacturing our urethane coated wheels is one of the reasons they are rated among best wheels in the world. Unique custom urethane parts are the core of what we manufacture at Plan Tech. In fact, we have been manufacturing cast urethane parts and products for the last 30+ years! Cast urethane parts are used in many industries worldwide and Plan Tech provides the polyurethane experience in highly customized urethane products. 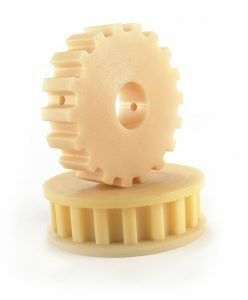 We welcome the most complicated cast urethane parts projects and difficult applications. Cast urethane parts create low-cost replacement parts with choices of material that often times are superior to OEM parts. Plan Tech’s components and parts are manufactured using high-performance polyurethane resins, curatives and additives with our in-house team of chemists. Our custom cast urethane components can be manufactured in almost any hardness or shape using a custom urethane mold made from aluminum, urethane or steel tooling. Cast Urethane Parts Made In USA! 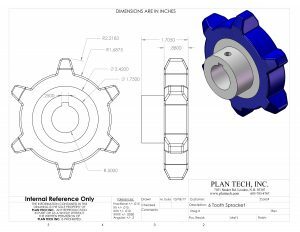 Plan Tech provides cast urethane components with manufacturing solutions from 1 to 100,000 parts with excellent lead times. We can also create urethane prototypes from your drawings or sketches. We routinely perform tests to our customer’s specifications – these tests are performed to an established set of standards provided by an accredited testing organization such as the Society for Testing and Materials (ASTM) who define the procedures in detail. Our in-house design and application development team will work closely with you to meet your cast urethane parts critical tolerances and specifications. Custom cast parts are an ideal solution for molded urethane parts with short lead time. All the materials we offer can have a custom armament of mechanical and thermal properties for a variety of applications for wear resistant urethane parts. A variety of polyurethane additives can be added to the urethane parts to enhance wear properties, add lubricity, UV stabilized, flame retardant or to reduce static build up. We also routinely manufacture FDA Approved parts with specialty additives from Eriez POLYMAG® a leading manufacturer of Metal Detector systems, this allows urethane molders to produce FDA Metal Detectable and X-Ray Visible urethane parts for food contact applications that can satisfy varying levels of detectability. Acceptable for repeated contact with food under section #177.21000, subpart F.
Please Contact us for further details regarding Custom Cast Urethane Parts!